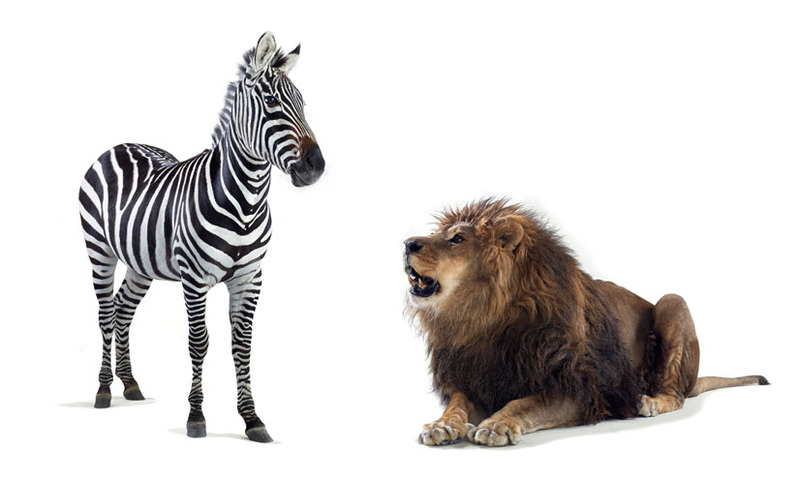 Will the lion catch the zebra? 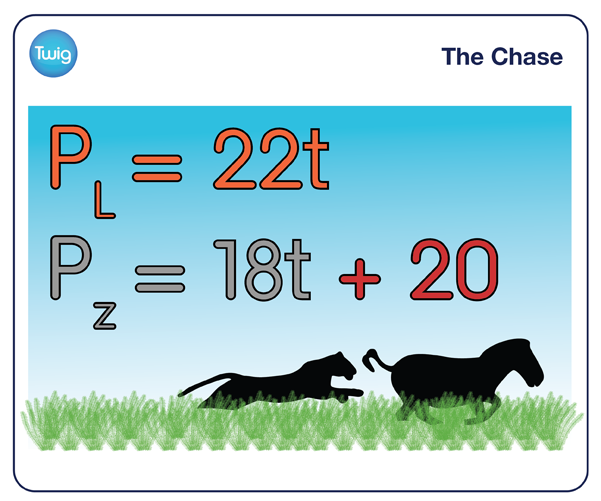 Find the time it has to escape by solving the animals' equations simultaneously. In the plains of Africa, a zebra bolts. It's being chased by a lion. Will the zebra's head start be enough to escape? The powerful lion advances its position, covering 22 metres each second. The zebra covers just 18 metres in the same time. So in a constant chase, the lion will always catch the zebra, advancing its position at 4 metres per second faster than the zebra. The zebra's only chance of escape is its 20 metre head start. The lion will catch the zebra when their positions are equal. To find how many seconds this takes, the equations can be solved simultaneously to find the value of t.
22 t minus 18 t, leaves 4 t equals 20. Dividing both sides by 4 gives a value for t.
Five seconds – the zebra's window for escape. After a 5 second chase, the lion catches the zebra. But this time, the zebra has a lucky escape.